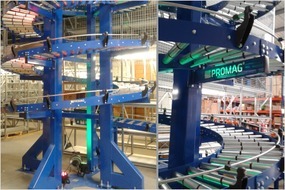 Welcome to the website showcasing PROMAG’s most advanced solutions in the area of internal transport systems. In addition to being a leading supplier of solutions relating to automated internal transport systems, we also continuously implement new technologies and upgrade existing solutions, expanding our know-how with each new project. 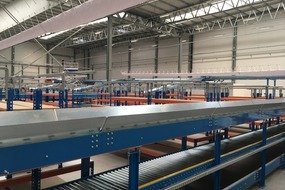 To cater for the needs of a leading Polish chemical manufacturer, we have prepared and implemented a project involving an autonomous Europallet transport and storage system based on roller conveyors, turntables, including full integration with a high-density storage system based on AutoMAG Shuttles. We have developed a comprehensive returns handling solution for Ingram Micro CFS Fulfilment, the leading provider of e-commerce services in the European market. 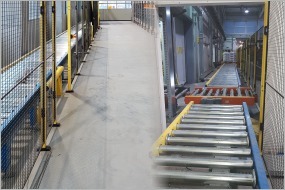 A multi-level system of roller and belt conveyors integrated with workstations ensures a two-way flow of parcels and containers, along with a dedicated system of waste disposal to an automatically controlled baling machine and press container. 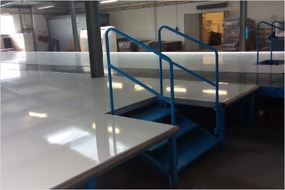 The system can automatically redirect waste between the devices in case of excessive load. 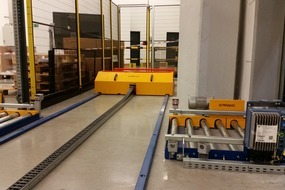 A transport system with a pallet turntable at the height of H=80mm in a rack structure. 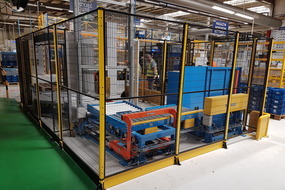 PROMAG completed an interesting project comprising shelf racks with a platform and a gravity roller spiral conveyor for transporting 600x400x400mm containers of the maximum weight up to 40kg. 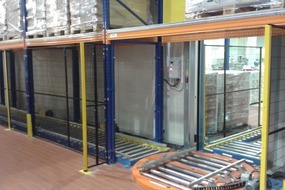 The device allows loading packaging units (containers, cartons, parcels) of dimensions agreed with the customer.